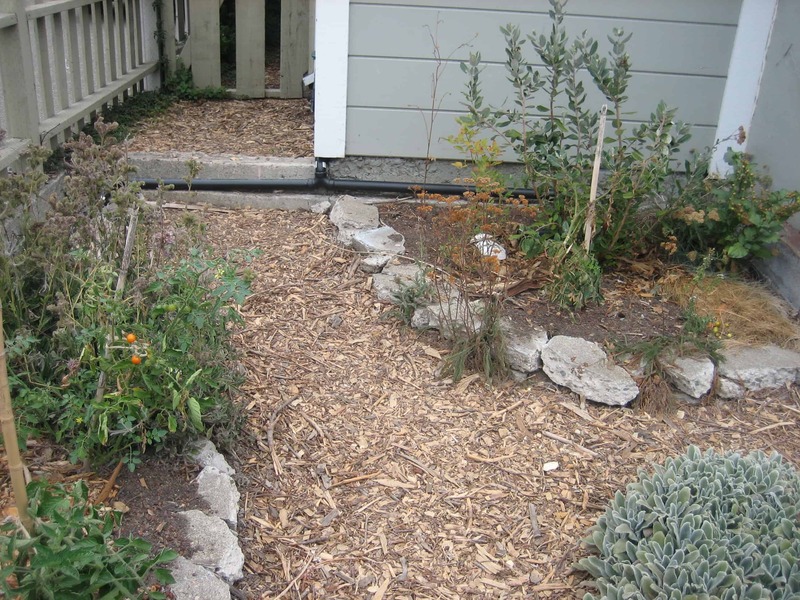 Goals: To replace freshwater irrigation with greywater irrigation. Fixtures and output One person using the sink, around 10 gallons per day. 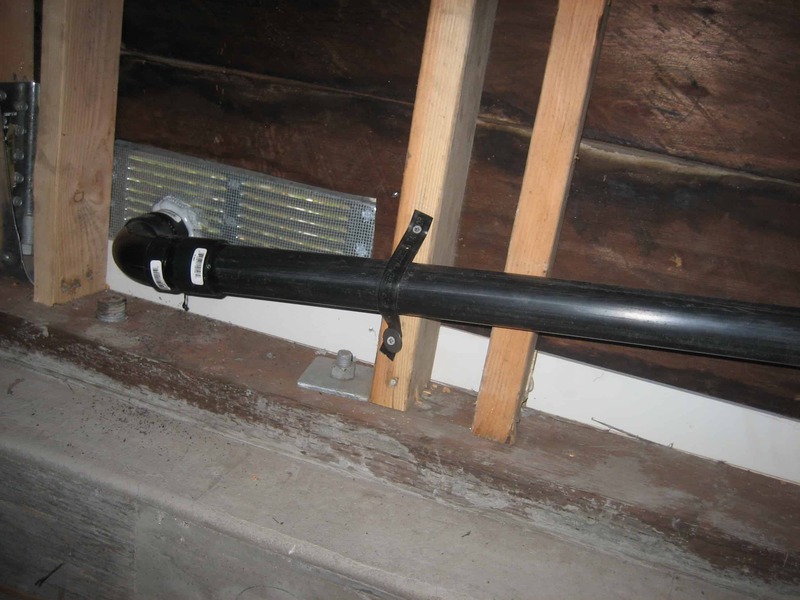 Greywater flows through 1 1/2″ ABS pipe, dropping at 1/4″ per foot, and exiting the crawl space through a vent. 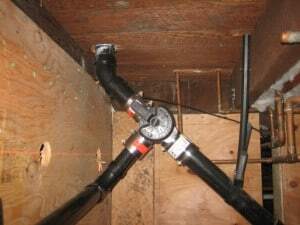 Flow is divided by a ‘double ell flow splitter’. Outside the pipe continues to descend, splitting once as it drops down a step. Half of the water goes to the right side, half to the left side. 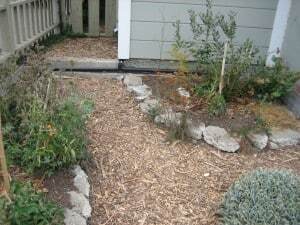 The water on the left irrigates a pomegranate bush. 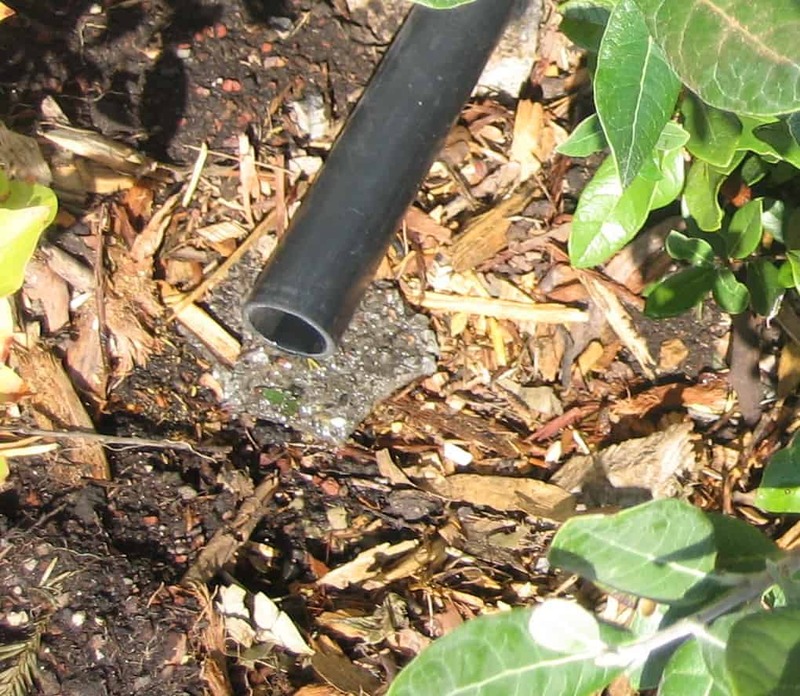 On the right side the flow is divided once more, irrigating two blueberry bushes and one pineapple guava shrub. 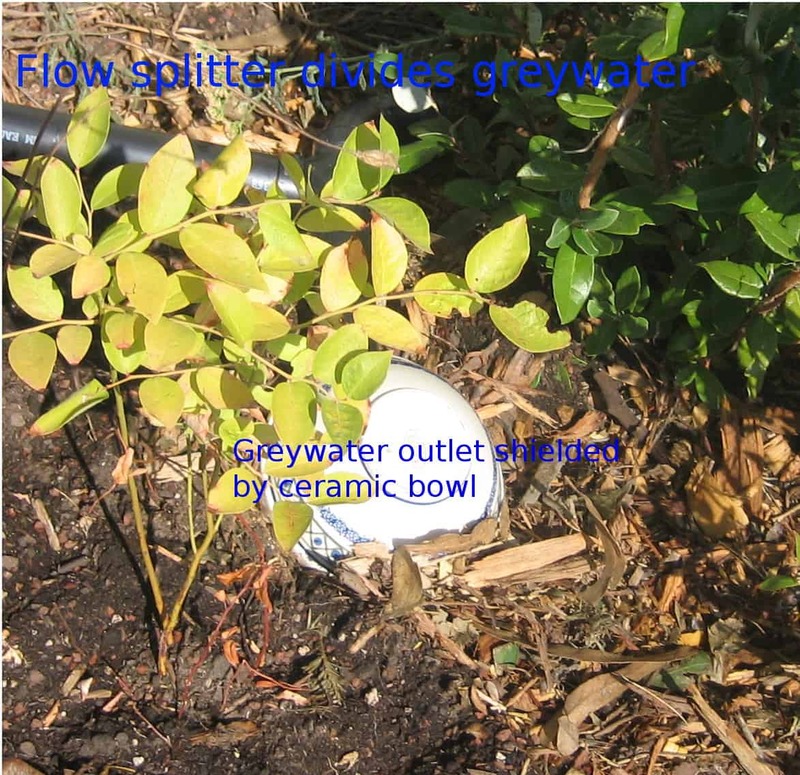 Ceramic bowl covers greywater outlet. 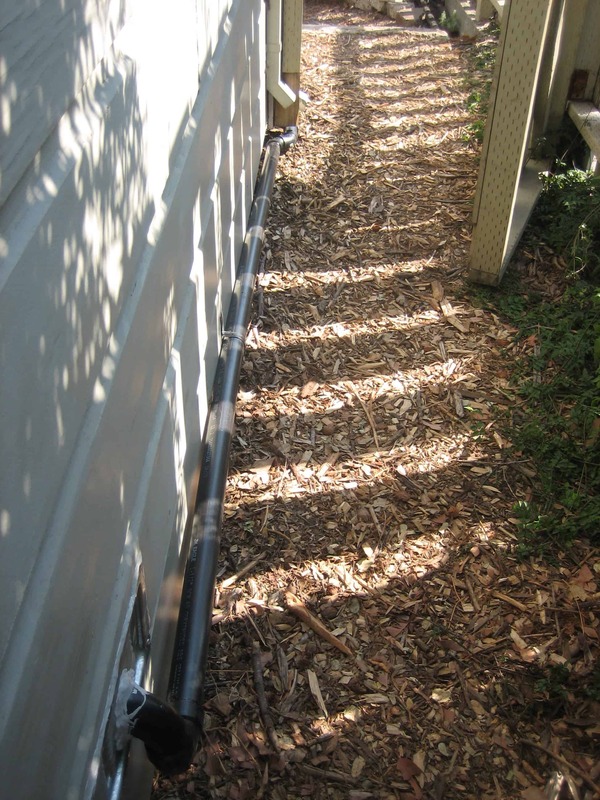 Kitchen sink greywater comes out of the pipe, falling into the mulch basin. 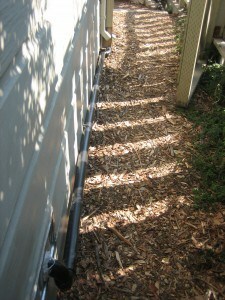 Any food or particles will catch on the mulch and compost. Earthworms love the outlets of kitchen sink systems! 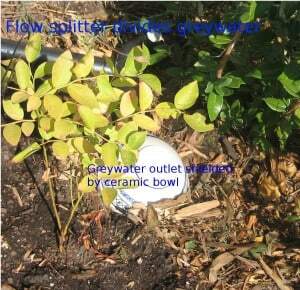 Specifications and Notes: Since there is not very much water the flow is only split two times. 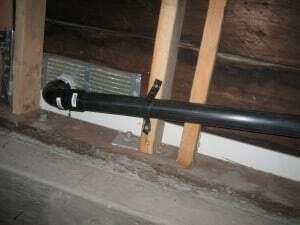 The ABS pipe will be painted to protect it from the sunlight (the sun will degrade the plastic over time). 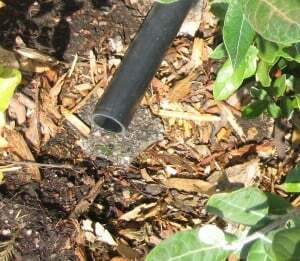 Maintenance and trouble shooting: Checking on mulch basins, annual addition of mulch and removal of composted food.